Mlotek v. York-Med Systems Inc. It is a pretty common practice today that employers have employees signs a work agreement upon accepting a position. These agreements typically outline the rules and guidelines of the position and many workers are not aware that their employment agreement may have a termination clause that seeks to severely limit their entitlements if they were terminated. The difference between having a Court find a clause is invalid or valid can be razer thin, so you need an experienced lawyer representing your interests or you might find yourself getting significantly less notice. A termination clause stipulates the employee’s entitlements in the event of the employer terminating the employee. Employers do this in an attempt to reduce their costs of terminating the employment. 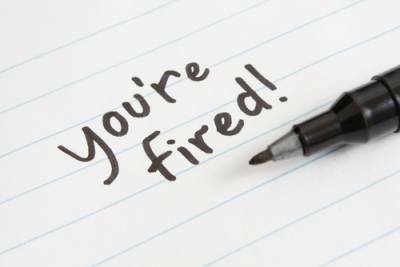 It allows employers to provide an employee with a severance package based on a fixed notice period based on the employee’s years of service and is usually less than an employer providing an employee with reasonable notice for the termination (see our blog post on this topic for more details). Many termination clauses seek to provide an employee with his or her minimum statutory entitlements as required by the Ontario Employment Standards Act, 2000 (“ESA”). It is important to note that a termination clause may not be enforced by a court if it does not provide at least the minimum requirements are required by the ESA. The language used in a termination clause is incredibly important as words can be interpreted in many ways. In the case of Mlotek v. York-Med Systems Inc., 2016, ONSC 2169 (CanLII), the individual, Helen Mlotek, seeking action against her employer not only signed one contract but two, one in 1991 and one in 2001. The Ms. Mlotek was later terminated from her employment. The main question before the court was whether or not the first contract was enforceable, or the second. Ms. Mlotek argued that the first contract contained language that was ambiguous therefore asking that the second contract be enforceable. Ms. Mlotek argued that the usage of the term “entitlement” was ambiguous, and therefore should not be enforceable. However, the court, when reading the termination clause in the context of which it was written, determined the word was not ambiguous and that the termination clause was sufficiently clear in Mr. Mlotek’s entitlements upon termination. While it is unknown what arguements were made at court the clause is very similar to other cases where the clause was struck down and also would not appear to limit the employee to the minimum, as per the case by Monkhouse Law of Singh. 2)If #1 is met then the question is whether the limitations are worse than the Employment Standards Act, and are therefore invalid. Going through the two step process above it would appear that the clause in this case would not be likely to be upheld, but it is unkown what was argued. In the end the court determined that the first contract was enforceable as the employer governed themselves by the first contract. The second contract was found to be invalid. The Motion judge, and thereafter the Divisional Court upheld the decision, although on a clause which would generally have been found to be invalid. There is deference given to the motion court judge, which means that it is important to put forward the strongest case upfront as possible. As seen in the case above, a case can hinge on the usage and interpretation of a singular word within an employment agreement. It is essential to ensure that you know what rights you are forfeiting when entering into an employment agreement and move forward accordingly. If you have been terminated and believe that there may be concerns regarding your entitlements at termination based on a termination clause, contact Monkhouse Law today for a free consultation.